Clothing/Jewelry Description Nike boots and a McDonald's restaurant uniform consisting of a white tank top, a brown shirt and black pants. Distinguishing Characteristics African-American female. Black hair, brown eyes. Frazier's nicknames are Tish and Lil Pooh. She has the name "Diamond" tattooed on her upper right arm and eczema on her arms and legs. She wears eyeglasses, but it's unclear whether she had them with her at the time of her disappearance. 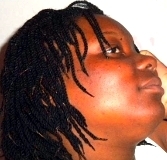 Frazier was last seen in Washington, D.C. on August 2, 2010, after leaving work. She has never been heard from again. She has never been heard from again. About five months following Frazier's disappearance, someone posted anonymous, threatening messages on her Facebook page claiming she'd been murdered and her body disposed of in Rock Creek Park. 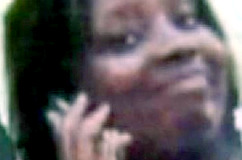 Investigators believe Frazier was killed at the 1700 block of Trenton Place southeast on the day of her disappearance. They found a stain resembling blood in the back bedroom on the carpet and the flooring underneath. A total of six suspects have been charged in her presumed homicide: Brian A. Gathier, Johnnie A. Sweet, Anneka Nelson, Cinthya Proctor, Laurence Kamal Hassan and Lanee Bell. All of the defendants except Hassan and Gathier were in their teens at the time of the homicide: Proctor was 18, Bell and Sweet were 17 and Nelson was 16. Authorities believe Frazier was lured to the murder site and beaten and choked to death, and her body was partially dismembered and thrown in a dumpster. Bell, Hassan, Proctor, Nelson and Gaither ultimately pleaded guilty to their respective roles in Frazier's murder. They said they believed Frazier had stolen $900 from Sweet and they decided to beat her up to teach her a lesson, but they never intended for Frazier to die. Sweet pleaded not guilty and was tried in April 2013. He was convicted and sentenced to 52 years in prison. Gaither, who had been sentenced to 32 years in prison, successfully appealed his guilty verdict and got the right to a new trial. In April 2017, he pleaded guilty again and was sentenced to 32 years again, but under a different statute, which gives him time off for good behavior. Frazier left behind a three-year-old daughter. Her mother described her as a responsible, hard-working teen who was never out of touch with her family. She had graduated from Crossland High School and worked full time at a McDonald's restaurant in Oxon Hill, Maryland, and was thinking about enrolling in college. She didn't appear to have any problems in her life. Authorities believe her body is in a Virginia landfill, but they haven't attempted to search for it because of the costs and time involved and because of the low chance of success. Foul play is suspected in her case due to the circumstances involved. Updated 8 times since October 12, 2004. Last updated September 9, 2017; picture added, details of disappearance updated.